Buy Backcountry Skiing: Crested Butte, CO here and save money versus purchasing from within our app via Apple or Google. It’s exactly the same guidebook, but offered at a lower price on rakkup.com. Spend even a short amount of time here, and you’ll quickly learn that Crested Butte, Colorado is the quintessential ski town. 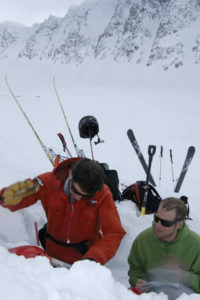 In my early twenties, I was a typical backcountry ski bum. I was looking for the perfect place for backcountry skiing. My guidelines: Lots of snow (preferably fluffy! ), accessable terrain from by back door, safe routes and serious mountaineering objectives. I also required a ski culture, so that my employers would honor the “pow day” code. 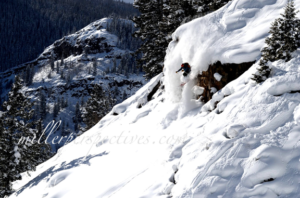 Backcountry skiing in Crested Butte meets each one of those qualities in spades! My girlfriend (now wife) and I were just a few of the countless powder seeking pilgrims who have come to this valley searching for the goods. In the winter, Crested Butte is literally at the end of the road, snuggled into the south end of the mighty Elk Mountains. Looking down on Crested Butte from an eagle’s view, the backcountry ski terrain spreads out like a fan. Coal Creek, Slate River, East River, Washington Gulch, Brush Creek, and Cement Creek. All of these drainages meet in the upper valley, and all of these drainages hold phenomenal backcountry ski terrain. The ski terrain varies over the entire spectrum. 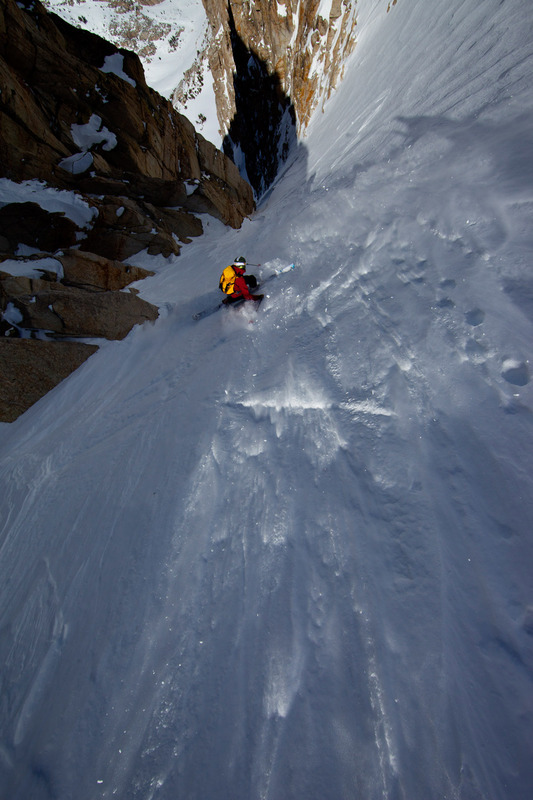 Steep and rocky fourteeners and thirteeners provide legitamate ski-mountaineering objectives, tight couloirs, big faces and ultimate adventure. The Anthracite Range, Schuylkill, Coney’s, and Snodgrass provide low angle glade skiing, classic steeper backcountry lines. The Majestic Mount Emmons watches over the town and is a 360 degree host of every type of terrain a backcountry skier can ever want. Andy Sovick ripping around the Schuykill zone. 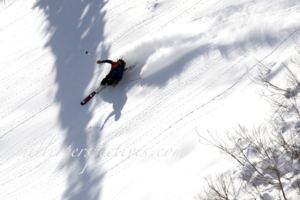 In the winter, unique orographic snowfall can put the western edge of the Crested Butte Zone at the top of the charts for the most snowfall in Colorado; famous cold temperatures can make newly fallen snow billow from your boots like fairy dust. 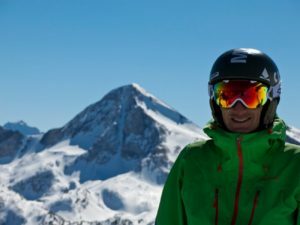 In the spring, when the snowpack is deepest and generally gains stability, long gentle slopes and big skimo lines take form as small spring storms linger and refresh. Lurking in the shadows of this backcountry paradise is Colorado’s infamous “continental” snowpack. Persistent slabs, buried surface hoar, rotten ground layers and extreme wind events only scratch the surface of the avalanche problems that plague Colorado’s snowpack. Crested Butte is no exception. As an avid student of avalanche snow science, I’m always amazed by the amount of variables that come along with avalanche forecasting. Conditions change, literally, every minute of every day. Forecasters and beginners alike are charged with doing their best to keep up on the information as it comes in, while remembering the past conditions, while predicting future conditions! Matt shredding some quality Colorado fluff. What is one part of the avalanche recipe that never changes? Terrain. Terrain is the only constant. One of the single greatest influences I ever had in my skiing carrer came from an instructor of a class I took when I was a teenager. The class was titled “Terrain and Route Finding in Avalanche Country”. 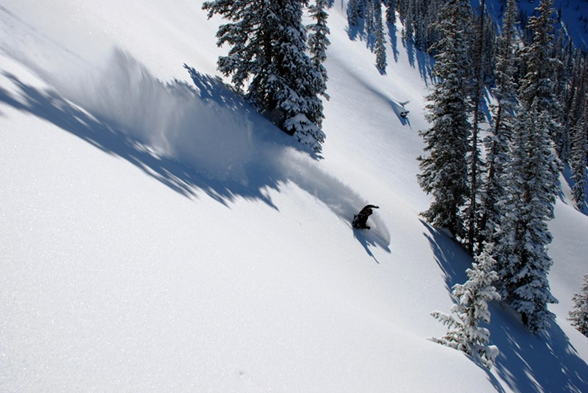 From this class, the idea was born to create a terrain based photographic atlas of all backcountry runs. I believe that just as a kayaker scouts his run and commits it to memory, a backcountry sker should too. With Backcountry Skiing Crested Butte and Rakkup’s powerful planning tools, you can read your run the night, week, or month before. You can refer to it as you travel through the field assess your conditions and adjust your plan.